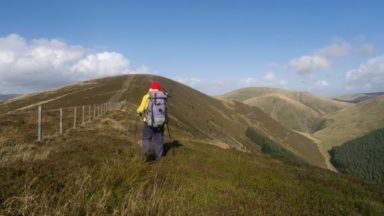 This guide describes two long-distance trails through the unspoilt scenery of Northumberland and the Borders. St Oswald's Way begins at Heavenfield and its 97 miles take in rolling farmland and the Simonside Hills before reaching the vast sandy beaches of the coast. 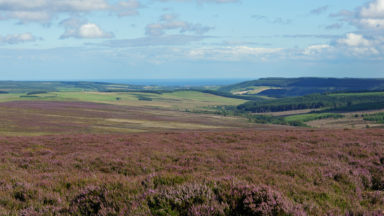 The 62 mile St Cuthbert's Way begins at Melrose and crosses the rugged crags and heather moorland of the Cheviot Hills. 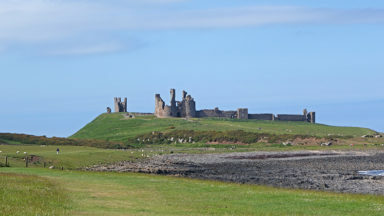 Both trails pass through Northumberland National Park to converge on atmospheric Holy Island, before continuing up the coast to Berwick-upon-Tweed. Each can be walked within a week, though there is scope for shortening or lengthening the stages to suit different itineraries. 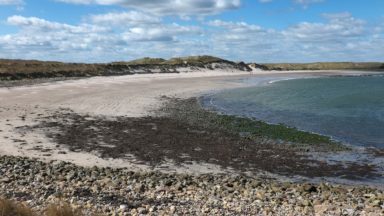 Also shown is the 64 mile the Northumberland Coast Path from Cresswell to Berwick, which covers the entire length of the Northumberland Coast AONB. 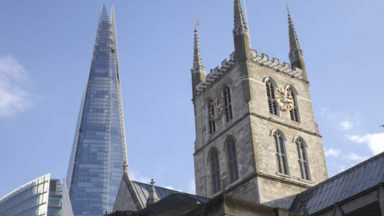 The guidebook is crammed with interesting snippets of information, alongside indispensable practical details of transport and accommodation in the area. With varied scenery and a rich history encompassing spectacular castles, medieval abbeys and Roman remains, this is one of Britain's most beautiful corners to explore on foot. This book covers two walks in Northumberland and the Borders taking in part of the Northumberland National Park and includes the Northumberland Coast Path. 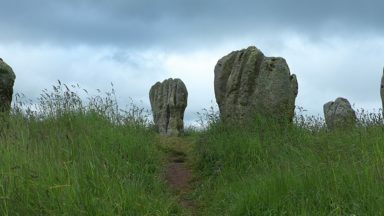 There is information covering the geology of the area, history and heritage, wildlife to be seen and a very extensive survey on the weather, giving the highest and lowest temperatures that could be experienced at different times of year. Each stage of the walks gives the start and finish, distance, time, maps required and very detailed public transport access. This is followed by an overview of the day's walk and so much information about the places visited on the route that it is sometimes difficult to find the actual route description. There are the usual strip maps using OS 1:50000 with the highlighted route. Although the layout follows the standard pattern of Cicerone Guidebooks, there are some pages of this guide that I found irritating. There was sometimes a tendency to include too much on one page - information, map, photograph and route description. Routes are not a convenient straight line but to wrap text around an odd shape and leave the reader wondering where the next line is makes it rather distracting. However, that apart, it is a very informative book about a very beautiful part of the country. A useful appendix is a glossary and pronunciation of words one may come across in the area. 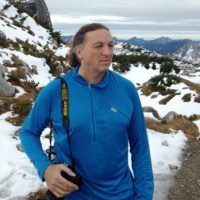 Rudolf Abraham is an award-winning travel writer and photographer specialising in Croatia, Central and Eastern Europe. He is the author of over 10 books, and his work is published widely in magazines. He first visited Croatia in the late 1990s, returned to live in Zagreb for two years, and continues to make several trips a year to his favourite country in Europe.